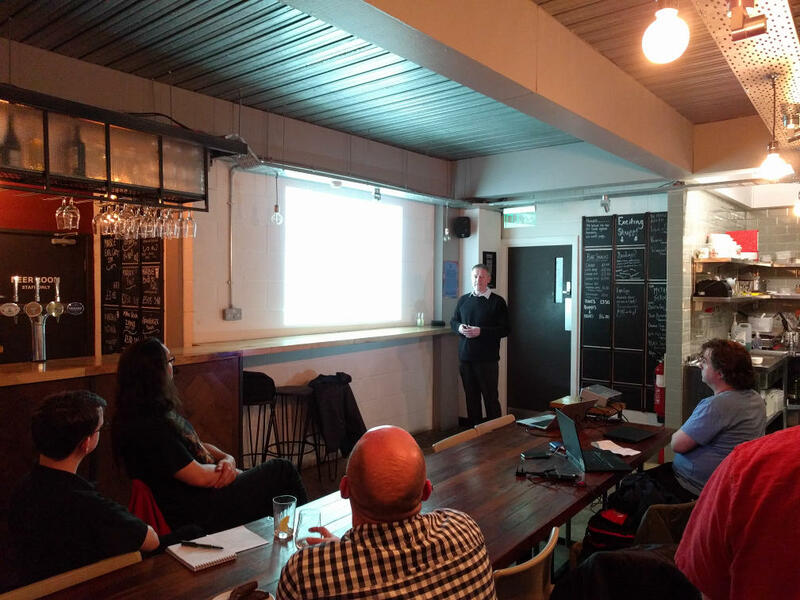 The 10th NetMcr meeting was held on the 13th of April, once more in the upper embrace of 57 Thomas Street. 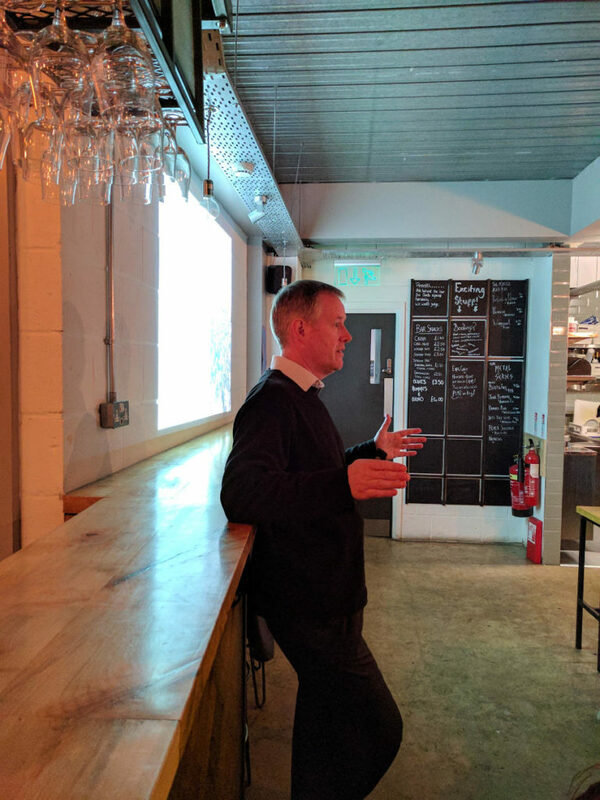 To mark this nice, round number of events, we had a brace of presentations that really helped to make this event stand out from the ever-growing crowd of wonderful evenings we’ve had to date. To mark this nice, round number of events, we had arranged a brace of presentations lined-up. Long-time attendee, first time speaker Mark Tearle, was the first presenter of the evening. 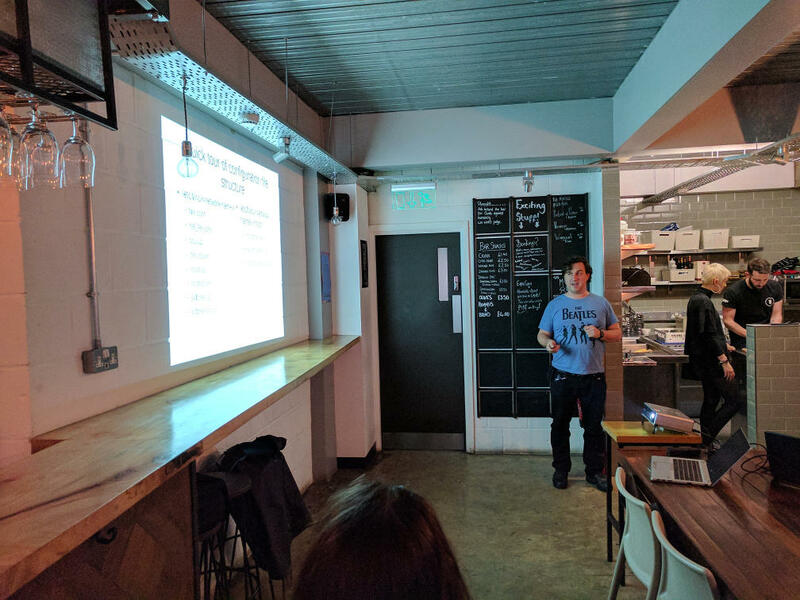 Mark split his presentation into two; a talk on tinc – a VPN daemon that runs on many operating systems, and builds a topology of point-to-point, encrypted tunnels – and, for the first time in NetMcr history, a live demonstration! Mark did extremely well, and despite poor network conditions – WiFi tethered to 3-maybe-4G through my phone – was able to give us a demonstration of tinc’s ease of use, and slightly more surprisingly, the decentralised topology detection that it includes. Following on from Mark, we had a little comfort break, filled some glasses and ordered some cheese. Our second speaker for the night was Andy Sutton, from BT (formally of EE). Andy was here to speak about 5G standards development, and the challenges of the ever-increasing requirements for data throughput on mobile network design. Andy’s talk was, to be frank, excellent. It really isn’t every day that most Engineers get chance to hear about mobile network development, and especially so when it’s this cutting edge. It wasn’t a huge surprise to find that no-one raised a concern that the talk overran by 15 minutes – oops! We were left with a big dose of enthusiasm – and not to mention, a deeper respect – for the radio networks that Andy & his colleagues are building for us to use (and abuse) in the not too distant future. After his talk was over, Andy was very kind to stay as long as he could to answer so many of our queries and questions, including with one foot out of the door. There was no doubt that all of the attendees appreciated him spending his evening indulging our curiosities! 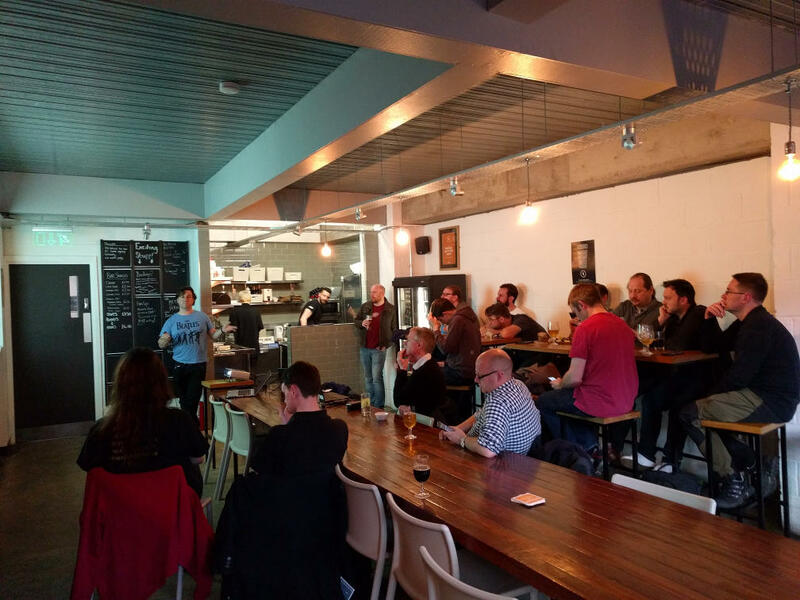 We’d like to thank both of the presenters that made this one of the more memorable & varied NetMcr events, and of course a huge thanks to all that attended to listen and engage.